Custom Designed Internal & External Workholdings- Speedgrip Chuck Co.
Budget friendly: for prototypes, short runs, or when tooling costs need to be minimal we can offer simple designs using many standard or modified standard components and in a short time frame. Ultimate efficiency: we can offer designs for rigid workholding to provide for aggressive machining and to eliminate an additional operation(s). Unusual conditions: need to grip in a blind or less than ideal bore, or locate in a hard to reach area, to provide clearance for turning / boring tools as well as live tooling for the drilling and milling operations. We have provided solutions for those and many more. Availability: Located in central United States we are a quick phone call away. We are available and happy to review and discuss your project or application from the quote stage, thru design, build completion, and as advisory at implementation. Sample Designs: We have thousands of designs from previous applications. Given information of where to grip, locate / stop, operation, and machine we can send a reference that may be similar to just what you need. We have a brochure with specific information for our S.O.E. 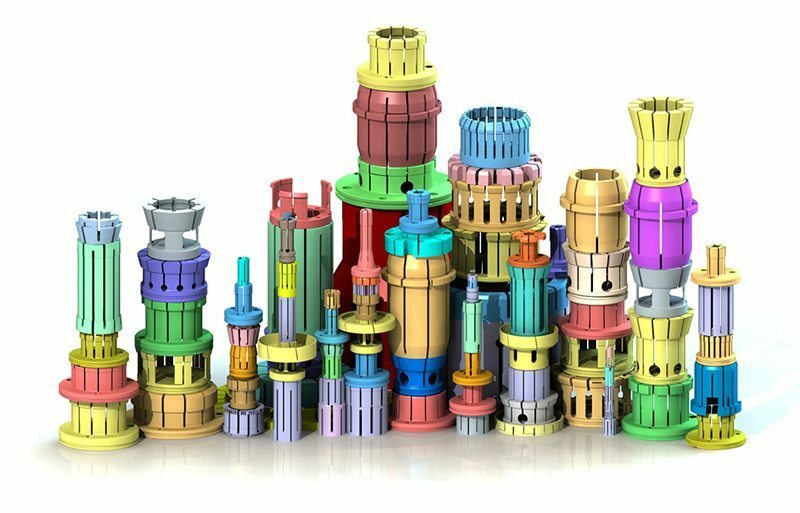 Slot from One End internal and external collet chucks which are commonly used, our Engineered Workholding catalog section, and other areas of the site highlight custom designed products.